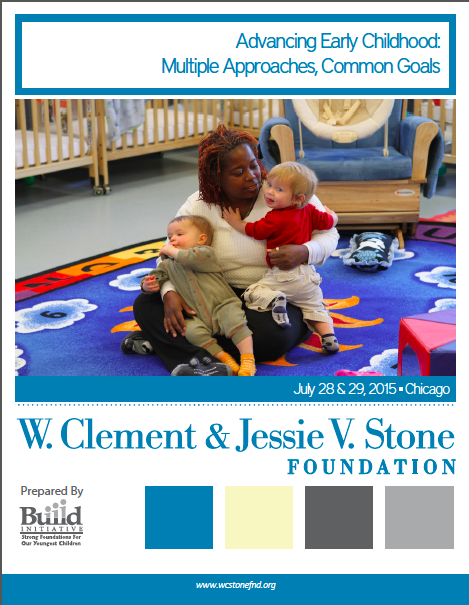 The Stone Foundation hosted a convening of early childhood development grantees in the summer of 2015. Representatives from grantee organizations in Boston, Chicago, New York, the San Francisco Bay Area, and Philadelphia gathered to discuss common challenges they face as they attempt to grow, expand their reach, and deepen their impact. This report synthesizes key themes and ideas as these early childhood development leaders shared and learned from each other.